Researchers conducted a randomized clinical trial involving patients with hypertension and with MRI-confirmed symptomatic lacunar infarct and confluent white matter hyperintensities. 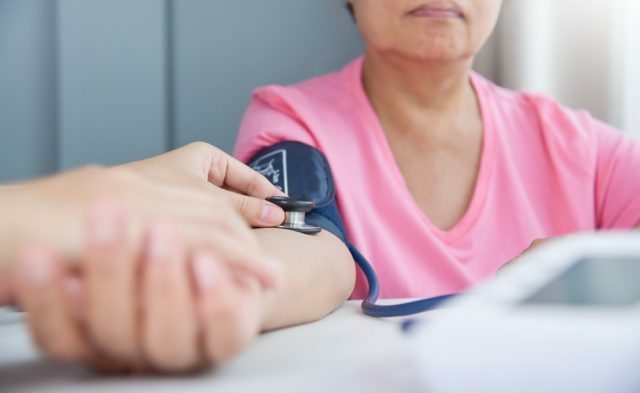 HealthDay News — For patients with severe small vessel disease, intensive blood pressure (BP) lowering does not reduce cerebral perfusion, according to a study published online in JAMA Neurology. Iain D. Croall, PhD, from the University of Cambridge in the United Kingdom, and colleagues conducted a randomized clinical trial involving patients with hypertension and with magnetic resonance imaging-confirmed symptomatic lacunar infarct and confluent white matter hyperintensities. Participants were randomly assigned to standard (36 patients) and intensive (34 patients) BP lowering over 3 months; analyzable data were available for 62 patients (33 and 29, respectively). 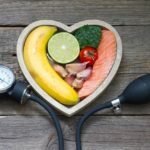 The researchers found that the mean systolic BP decreased by 8 mm Hg and 27 mm Hg in the standard and intensive groups, respectively, with mean achieved pressures of 141 mm Hg and 126 mm Hg, respectively. There was no significant difference between the treatment groups in the change in global perfusion (mean change, −0.5 mL/min/100 g in the standard group vs 0.7 ml/min/100 g in the intensive group). When the analysis examined gray or white matter only or was confined to those achieving target BP, there were no differences observed. No significant difference between the treatment groups was seen in the number of adverse events (mean, 0.21 for the standard group and 0.32 for the intensive group). “Intensive BP lowering did not reduce cerebral perfusion in severe small vessel disease,” the authors wrote.